Recently, I had the opportunity to tour Greenspace CoWork, Greenfield’s first co-working space. I was very impressed with the style and feel of this space, one which seems to me would allow someone to focus and work all day. 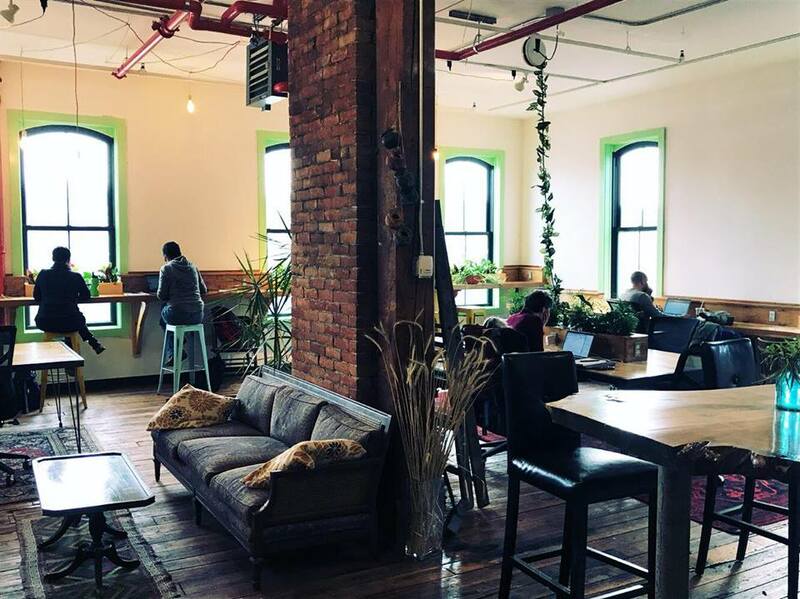 Located on the third floor of Hawks and Reed Performing Arts Center in downtown Greenfield, Greenspace offers memberships for use of their open work environment, free WiFi, and free coffee. Its members are people in a variety of careers, who desire a secure place to work independently, while having the ability to interact with other professionals and meet with clients in a presentable space. Jeremy Goldsher and Jeff Sauser opened the space in February of this year, with open tables, couches, and a kitchenette. They kept the industrial style of the building, preserving the 170-year old wood floors and brick walls, and adding decor that embellishes that style. Goldsher and Sauser received a $100,000 collaborative Workspace Program grant from Mass Development, which they will use to add a conference room, private office pods, and soundproof phone booths.